KNOW WHO YOU ARE; EMPOWER WHO YOU'LL BE! DO YOU HAVE QUESTIONS THAT LONG FOR SOLUTIONS? 1. ARE YOU FACING THE NEED TO DEVELOP LEADERSHIP IN YOUR OWN LIFE OR THE LEADERS OF YOUR ORGANIZATION? 2. IS FEAR/ANXIETY OVERRUNNING YOUR LIFE AND/OR OF YOUR COLLEAGUES OR WORK PLACE? 3. DOES A SENSE OF PURPOSE & VISION SEEM CLOUDY, ALLUSIVE OR NON-EXISTENT? 4. ARE YOU IN A BATTLE FOR SELF-INTEGRITY WHEN MOVING BETWEEN THE ROLES OF YOUR PERSONAL AND PUBLIC LIFE? 5. DO YOU PERCEIVE A NEED FOR CHANGE, IMPROVEMENT OR A SENSE OF QUALITY IN YOUR LIFE OR BUSINESS? 6. AS A LEADER, DO YOU FEEL YOU ARE TAKING A LONG LONESOME WALK? IF YOU HAVE SAID "YES" TO ANY OF THESE QUESTIONS, YOU CAN FIND THE SOLUTIONS IN THE NEXT FEW PAGE CLICKS! I HAVE WALKED MANY OF THESE TRAILS AND CAN HELP YOU SEE YOUR WAY THROUGH THESE TEMPORARY-GROWTH MOMENTS/OBSTACLES THAT CHALLENGE ALL PEOPLE AT SOME POINTS IN THEIR LIFE! EXPLORE MY SITE AND LET'S SET A TIME FOR ANSWERS AND ACTION TO RESOLVE WHAT BROUGHT YOU HERE! CONTACT INFO IS AT THE BOTTOM OF EACH PAGE - TOGETHER WE CAN BUILD & CREATE SOLUTIONS TO CHALLENGES THAT FACE YOU NOW! ARE YOU READY TO EXPLORE WHO YOU ARE AND THE DIFFERENCE YOU CAN MAKE IN THE WORLD ? I enjoy forming and coaching leaders who empower people and teams to impact the systems of their organizations or churches, transforming that church, business or organization with a positive attitude that has an eye for quality, is efficient, productive, successful, dynamic and sensitive to the people/teams they lead, and most importantly, responsive to the needs of their clients or church membership that they serve. MY COMITTMENT TO YOU AS PRESIDENT OF PHOENIX PRESENTATIONS AND TRANSFORMING SERVANT LEADERSHIP -3X . As our logos suggest, We are committed to providing presentations/courses that enable new life, hope, vision and skills for leadership and their constituents/teams so they may succeed in a time and context that is anxious, fearful and undergoing the dramatic, rapid change of today. By providing flexibility, quality and creativity in the formation of our presentations, we encourage our client's needs to be incorporated thus affording a unique and personal response helping them to solve their own specific challenges, as we also join them in the celebration of their successes. Our vision is to walk with you always, coach whenever it is possible, and lead. Like the Phoenix, a new "way" can be resurrected from past and present turbulent/challenging situations! When it comes to the issue of CHANGE, there are no Failures; Only Times of Learning, Readjustment, Improvement and Opportunities for Personal as well as Organizational Growth! * Survived a near-death-experience during a freight elevator accident at the age of 17. 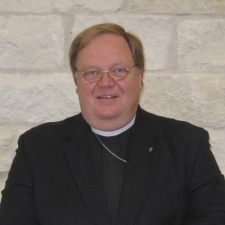 * Served 31 years as an Episcopal Priest with congregations in South Carolina, Virginia, Michigan, Alabama and Texas. * Mentored by Dr. W. Edward Deming in the areas of Quality Theory and Continual Improvement. * Taught Quality Theory, Leadership Formation, Psychology of the Workplace and Communication Skills at Cleary Business College's Accelerated Masters Degree in Quality Management. Ypsilanti, MI. * Students included executives from Ford, GM, Chrysler, Union Carbide, General Electric, and Citibank. * Consultant in the areas of Church Growth, Newcomer Assimilation, Stewardship, Leadership Formation, and Congregational Development for churches & events in the Third, Fourth, Fifth, and Seventh Provinces of the Episcopal Church. * Have also consulted with Lutheran, Presbyterian, Methodist, Nazarene and Baptist clergy and congregations. * Contributed to the Cowley Press Book, "Shaping Our Future"
* Wrote and Presented "Rethinking Parish Structures-The Quality Questions" at the 11th International Deming Seminar at Fordham University-Lincoln Center, New York City. * Created "I AM Yours-The Entheos Leader" a study of Spiritual/Secular Leadership, Self-Awareness and Empowerment. * My Written work and Presentations have abstracts listed on another page. * "Ripe for the Harvest" has a 98% success rate in multiple applications! * Co-author of the leadership curriculum entitled "Crosspointes." * Topics include: Spiritual Self-Awareness, Emotional Intelligence, Relational Power, Contextual Awareness, Vision to Action, Communication Skills, and Facilitating Change. * I have served as a Corporate Chaplain for Amerex Corp., Hampton Inn, Days Inn, and Colonial Rehabilitation Hospital. * Public Speaker on Motivational Topics covering Leadership, Self Awareness, Quality, Change, Organizational or Congregational Growth, Vision/Core Values Discernment, Emotional Intelligence, Volunteer Formation & Stewardship. * Presenter for the Texas Association of Hospital Volunteer's Traveling Topics Program entitled, "You are Not Just a Volunteer". I AM AVAILABLE FOR YOUR EVENT ! Team Formation, Training Seminars, Workshops, and Multi-Day Retreats and Conferences/Conventions. * Fees are Flexible to Event Context, Group Size & Additional Services as Needed. VISIT MY BLOG-STEVE ROTTGERS CONSULTING!